I could say my triumph was getting those pies made for Thanksgiving (Florida Citrus Meringue and Coconut Creme), or winning the “Beauty of Brotherhood and Peace” MLK essay contest in sixth grade, or finally getting over my fear of riding fast-paced, topsy-turvy rides at the fair and amusement park, or finally, after some clawing and scratching in the wrong place, rediscovering an old song that I hadn’t heard in nearly 22 years. Or perhaps it could be graduating from college or driving a car on the highway for the first time, or getting my bike up that steep incline sidewalk. Reaching the final day of photography 101 is a triumph in it’s own way. I learned a lot more about the art of photography than I had never known before. There were lots of things I learned that were always overlooked when shooting a scene, things not taken into consideration. No one in my family except me is what I would call a shutterbug. I don’t think anybody else but me cares about taking pictures and finding deeper meanings and stories from them. Living in this boxed in community of mine doesn’t offer the most inspiration for photography. When I do manage to escape the drab confines of this “prison”, my camera has free reign over what to take, what to explore in nature. This is my take on triumph. Trying to define this wasn’t easy but after taking a look at other bloggers entries for this assignment, I got a general idea of where I wanted to go with this. 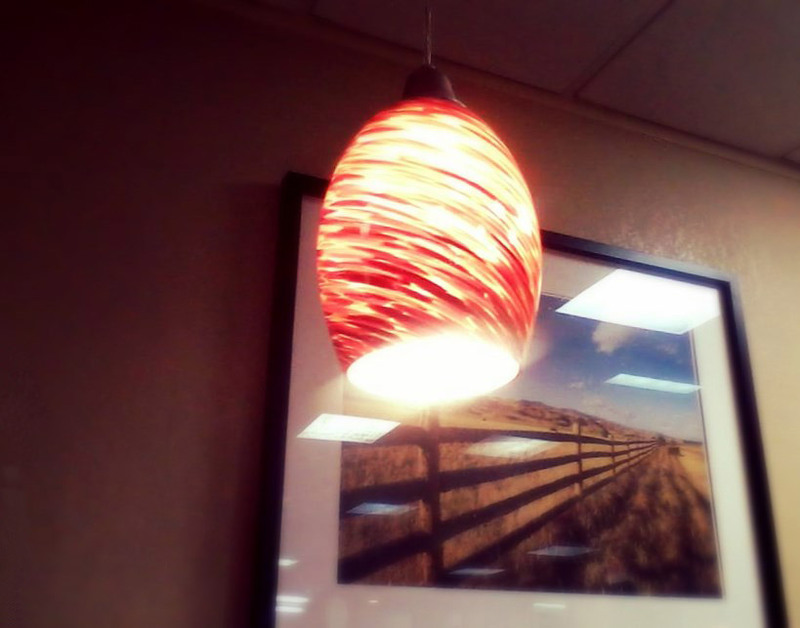 This was taken at a Denny’s restaurant in the city of Jackson where I live. The light symbolizes the triumph, becoming victorious, reaching the finish, while the fence stretching far rightward into the distance symbolizes the never ending journey of trying to reach what is far and beyond. When you achieve one goal, there is always something else that can be achieved afterward. Life is never finished. There is always room for improvement (unless you’re dead, of course). To conclude this course I want to feature the picture from every assignment that I did (some had multiple pictures so I chose the best one out of all). Liked the way you pulled all your assignment elements together in your slideshow. Thanks 🙂 After all, it is the last day, I wanted to give it my all. And of course the photos, all of them! I like your interpretation; from the heart,,beautiful. Thanks for sharing.